Econet Media’s TV channel Kwesé Free Sports is launching live broadcasting of Kenya’s motor sport rallies, with its first broadcast due to be aired on November 6th from the KCB Rally at Kajiado. The launch is a first for Kenya and for Africa in opening the country’s rising rally sports industry to national TV audiences across the continent. The rally broadcasts will be live-streamed in partnership with Liquid Telecom Kenya, which developed the streaming capacity as part of its rally driver sponsorship program, and launched rally live streaming onto its own YouTube platform in July 2016. Kwesé Free Sports launched in Kenya in August, offering sports coverage for free on any set-top decoder or digital TV. It holds exclusive free-to-air rights for the Premier League, the National Basketball Association (NBA), Extreme Fighting Championship (EFC) and the National Football League (NFL), and is now airing in Rwanda and Malawi, and available in Ethiopia, Senegal, Mauritius, Mozambique, Nigeria, Seychelles, Congo DRC, Benin, Togo, Uganda, Ghana, Angola and Tanzania through affiliate channels. The launch of its Kenyan motor sports coverage marks the channel’s first new African sports content. “We are excited to be bringing the rally coverage live to fans in Kenya,” said Monicah Ndung’u, General Manager Kwesé Free Sports TV. “Little attention has been paid to motor rallying in Africa: we want to bring it to the forefront by offering quality, timely, and convenient broadcasts to fans in Kenya,” she said. 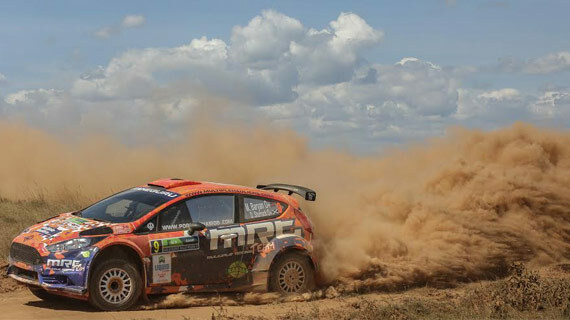 The broadcasting of the Kenyan rallies follows an 18-month development project by Liquid Telecom Kenya, which has seen the Internet Service Provider invest in high-speed, mobile Internet connections and filming equipment, aerially and inside rally cars, in order to raise the sport’s profile. “Seeing the Kenyan rallies now moving onto live TV in Kenya is a fulfillment of our opening objectives in sponsoring Ian Duncan and the Rally Chix led by Tash Tundo,” said Statham. The KCB Safari Rally dates back to 1953, and over the last 60 years, has featured leading East African and international rally drivers. However, until the development of the live streaming, it has been viewed by only a few thousand spectators at each rally. “The KCB rally is part of our heritage and one of the most exciting rallies on the globe in route and action, making this a breakthrough for Kenyan sports coverage,” said Statham.